Barbara Jordan was a woman of firsts: She was the first African-American woman to be elected to the Texas Senate, the first Southern African American to serve in the United States House of Representatives, the first African American to deliver an address at the Democratic National Convention, and the first African American woman to be buried in the Texas State Cemetery. But one of the more peculiar firsts happened on June 10, 1972 when Jordan, who was president pro tem of the Texas Senate at the time, served for one day as acting governor for Texas. She is still the only African American to both serve as the governor of any US state. To honor her legacy, the Barbara Jordan Freedom Foundation was founded today six years ago on what would have been her 75th birthday. The foundation’s mission “seeks to end current injustices by leading campaigns for change,” specifically regarding early education. 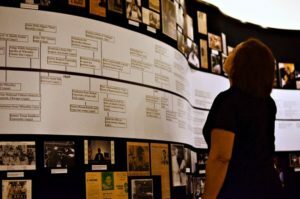 Most recently, with the help of Jordan’s alma mater Texas Southern University and the Lyndon B. Johnson School of Public Affairs, where she taught for 17 years, the foundation hosted an annual interactive exhibit on the public figure’s dynamic life at the Texas Capitol. Jordan also believed in education. In high school, she primed her oration skills as a debater in Houston’s Fifth Ward before heading to Texas Southern University, a historically black university, and from there she took her talents to Boston University Law School. When she returned to Texas in 1956, law practices refused to offer Jordan a position because of her race—but that didn’t stop her. Instead, she began her own practice at the kitchen table of her parent’s home. While running her practice, Jordan began making her way into the political area. She actively worked on the Texas campaign to get John F. Kennedy and Lyndon B. Johnson reelected in 1962. It wasn’t until 1966 that Jordan got a seat of her own. She won a Texas Senate seat in 1966, where she served for a number of years before heading to the U.S. Capitol in 1972 to serve Texas in the House of Representatives. During her six years in office, she was seen as a force in the democratic party, making memorable speeches not only at the 1976 Democratic National Convention but also before the U.S. House Judiciary Committee as a part of the Nixon impeachment trials, where she gave a 15-minute televised speech denouncing Nixon and the Watergate scandal. “My faith in the constitution is whole, it is complete, it is total. I am not going to sit here and be an idle spectator to the diminution, the subversion, the destruction of the Constitution,” Jordan said to the committee on July 25, 1974. American Rhetoric lists both speeches 5th and 13th respectively in the top 100 American speeches. The company includes Martin Luther King Jr., John F. Kennedy, and Franklin Delano Roosevelt. After a relatively remarkable career in Washington, Jordan ventured back to her home state when UT’s Lyndon B. Johnson School of Public Affairs offered her a position to teach ethics. Sherman still has photos and many more memories from the gatherings Jordan held for her students, past and present, at her South Austin home. In Sherman’s book, students talked about the impact Jordan had on their college careers. One student said “Professor Jordan makes you look at your soul.” Another said, “I’ve never met a person who believed so strongly that we can actually change the world.” And finally, “Above all else, she taught me that greatness, more than fame or power, is something you do everyday. 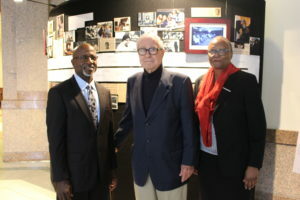 From top: Barbara Jordan; Annual interactive exhibit on the Barbara Jordan’s life at the Texas Capitol; Sam Bryant of Barbara Jordan Freedom Foundation, Max Sherman, author of “Barbara Jordan: Speaking the Truth with Eloquent Thunder,” Professor Emeritus and former Dean of the Lyndon B. Johnson School of Public Affairs, and Janice Peyton, Texas Southern University Librarian. 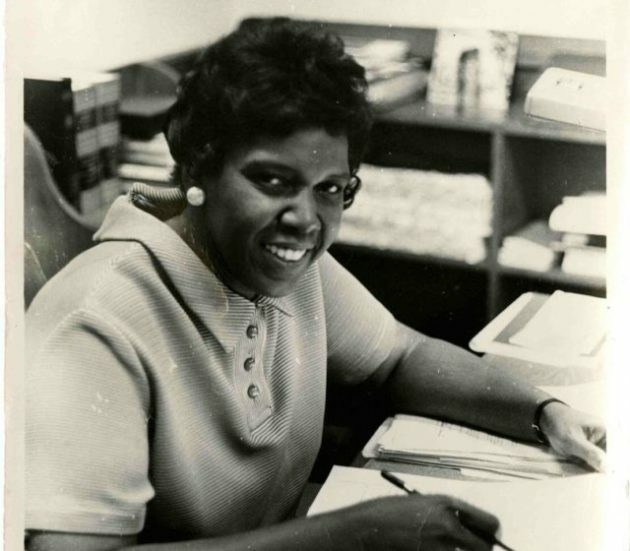 Photos courtesy of Texas Southern University’s Barbara Jordan Archives.